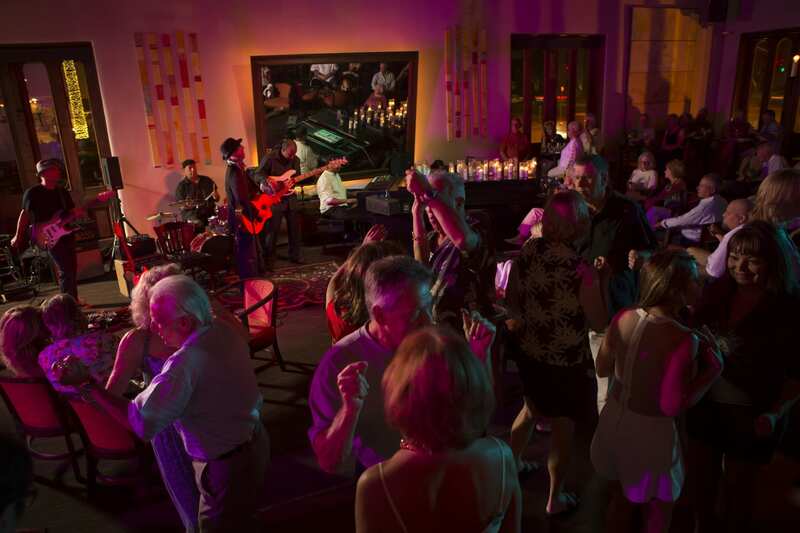 Electrifying Live Music Every Night. Weekly 36 Musicians, 10 Performances, 1 Place and 0 Cover. The music lounge is flanked by dual fireplaces and centered with a 9-foot concert grand piano and built-in dance floor. Food and Cocktail Service at all times. No reservations. Open seating. No covers. Note, the live music schedule is subject to change without notice.